LG has reportedly revealed the Android 9.0 Pie roadmap for its prominent models in South Korea. The roadmap apparently confirms the Android Pie update schedule for the LG V35 ThinQ, V40 ThinQ, V30S ThinQ, V30, G6, V20, Q8, Q9, and X5. The company also recently announced that it is set to bring Android 9 Pie for the G7 ThinQ in the first quarter of this year. Now, the flagship model has started receiving the update in South Korea. The update brings the list of core Android Pie features, including the gesture-based system navigation, as well as comes with support for dual apps. As reported by a Reddit user, LG has posted a list of its models that are set to receive Android Pie in South Korea. The purported roadmap shows that in addition to the LG G7 ThinQ₹ 29,990, the V35 ThinQ will get Android Pie in the first quarter of 2019, while the V40 ThinQ, V30S ThinQ, and V30 are set to receive the latest Android update in the second quarter. LG has also mentioned in the purported roadmap that it is set to bring the Android Pie update for the G6, V20, and Q8 (2018) in the third quarter. Furthermore, the LG Q9 and X5 (2018) are apparently in plans to receive the latest Android experience in the fourth quarter. We weren’t able to independently verify the Android Pie roadmap. However, it seems that LG has initially notified users in South Korea about its update plans. In a related development, the LG G7 ThinQ, the 2018 flagship that was set to receive Android Pie in the first quarter of this year, has now started receiving the latest update. LG has confirmed the rollout of Android Pie for the G7 ThinQ through a notice on its Korean website. 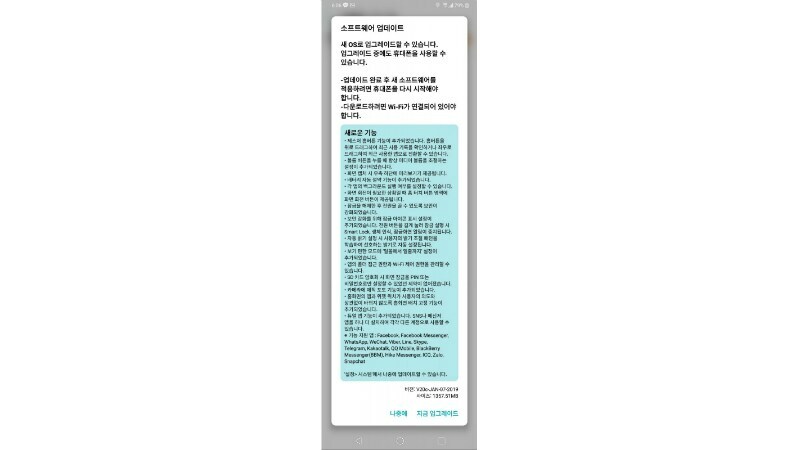 Folks at Ruli Web have reported that the Android Pie update for the LG G7 ThinQ is already rolling out in South Korea. The update brings all the core Android Pie features, including the gesture-based system navigation and Adaptive Battery. Also, there are some proprietary features, such as Dual app functionality to enable multiple social media accounts, and a Magic Photo feature to enhance images using software-based algorithms. It is worth noting here that the LG generally releases new software updates for its South Korean models a month or two before their arrival in international markets. Therefore, it is safe to expect that the update will reach your LG phone in the coming weeks. Back in April last year, LG launched its ‘Software Upgrade Center’ office in South Korea that was aimed to provide users with “faster, timelier” software updates. The dedicated facility initially helped the company roll out the Android Oreo update for the LG G6₹ 25,499 last year. However, it is presumable that the same facility could also be used to facilitate Android Pie updates this year.